Ferries resumed crossings between Germany and Denmark after a brief halt on Wednesday following a threat made to local police by phone, Danish police said. The police said in a statement that it had searched and cleared the first ferries at the Danish ports Rodby and Gedser and allowed them to resume operations. Ferry routes between Denmark and Sweden, which had also been suspended due to the threats, were resumed shortly after, the police said. 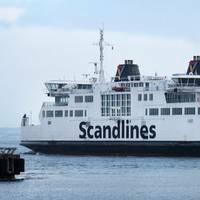 Ferry operator Scandlines said Wednesday it has evacuated all its ferries in the Danish town Rodby and suspended ferry traffic between Denmark and Germany due to security reasons following a telephone threat. Corvus Energy said it has been awarded a 10-year service and maintenance agreement for the entire Scandlines hybrid ferry fleet. 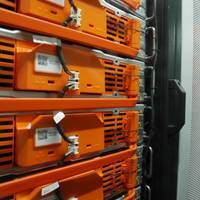 The contract includes both traditional service and maintenance of the fleets’ energy storage systems, plus Corvus’ remote condition-based monitoring service, Watchman. The first ferry operator to build and operate large ROPAX (roll-on/off passenger) hybrid ferries that combine traditional diesel power with advanced battery power, Scandlines utilizes Corvus’ lithium-ion based energy storage systems throughout the entire fleet to provide the battery power. On Sunday evening 5 February 2017, the two new hybrid ferries M/V Berlin and M/V Copenhagen went into ordinary service on the Rostock-Gedser route. In May and December 2016, Scandlines inserted two new ferries on the Rostock-Gedser route. Until then the route had been operated by two former Great Belt ferries, which were no longer able to meet the capacity requirements. For the first time in history, two new ferries were especially designed for the route as Scandlines wanted to give the customers a special maritime experience on board as well as increase the effectiveness of the service. On Wednesday 21 December 2016, Scandlines’ second new hybrid ferry for the Rostock-Gedser route, M/V Copenhagen, will carry passengers for the first time when it departs from Gedser towards Rostock at 09:00. Scandlines new hybrid ferry was registered 19 December 2016 and departed the same day from the Danish yard FAYARD A/S. 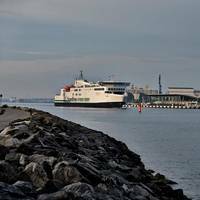 20 December 2016 it was practicing between Rostock and Gedser and today Wednesday 21 December 2016 at 09:00 from Gedser in Denmark the ferry will go into ordinary service. M/V Copenhagen is the second of two new hybrid ferries for the Rostock-Gedser route. Scandlines has named their newest hybrid ferry, the M/V Copenhagen. As part of Scandlines’ ambitious environmental strategy, the new hybrid ferry will join the world’s largest fleet of hybrid ferries, utilizing a low emission and fuel saving diesel electric hybrid propulsion system powered by a Corvus Energy ESS (Energy Storage System). The M/V Copenhagen is the sixth Scandlines hybrid ferry to utilize a Corvus ESS. This new hybrid ferry will soon join its sister ship M/V Berlin, also powered by a Corvus ESS, in servicing the crossing between Rostock, Germany and Gedser, Denmark. Scandlines can look back at a very good high season in 2016. Especially the new hybrid ferry of the shipping company, the M/V Berlin, which was put into service in May on the route Rostock-Gedser, contributed to the growth in the number of transported vehicles. In July and August, Scandlines’ new hybrid ferry succeeded in breaking its own record numerous times. Thus, M/V Berlin transported no less than 39,451 cars in June. The highest number of cars on one crossing was reached on Saturday 27 August 2016 at 13:00 from Gedser, when 351 cars rolled onto the new hybrid ferry. Can Domestic Shipping Become Our Industry’s Farmer’s Market? Arriving at the Farmer’s Market this morning I made the decision to grill some hand cut rib eye with fresh vegetables and potatoes later that evening. I searched several of the local farm kiosks to find the mix I wanted and then reached into my pocket to pay for my choices. The price for all this local fare is not competitive with Cosco or Walmart, but I know the vegetables are organically grown without chemicals and the local beef is grass fed. The price point may not be right but the effort supports local business and the farmers who work hard to provide us sustainable products and quality. On Monday 23 May 2016, Scandlines’ new hybrid ferry, M/V Berlin, will for the first time carry passengers when it departs from Rostock towards Gedser at 06:00. Scandlines has now acquired all necessary certificates for the new hybrid ferry for the Rostock-Gedser route. M/V Berlin will therefore start practicing between Rostock and Gedser and on Monday 23 May 2016 at 06:00 will go into regular service. ”I am very proud of the result which we can present to our customers as of Monday. Scandlines focused the business on the Germany-Denmark routes and made significant investments in future-proofing the group’s ferry operations as well as catering and retail activities in 2015. Efforts to promote the Rostock-Gedser route paid off for Scandlines having recorded the highest number of transported passengers in five years and posted strong financial results. Revenue grew by 3.5% to EUR 460 million in 2015 (2014: EUR 445 million) as Scandlines recorded its highest number of transported passengers in five years. The new Scandlines ferry for the route Rostock-Gedser left the Danish shipyard FAYARD on Wednesday 20 April 2016. The vessel will be named M/V Berlin on Tuesday 3 May 2016. During the last couple of months the vessel has successfully completed a comprehensive test programme (Harbor Acceptance Tests). Therefore, the M/V Berlin was able to start on the sea trial (Sea Acceptance Tests) on Wednesday 20 April, where the manoeuvrability will be tested under usual and unusual conditions. After the sea trial M/V Berlin is expected to arrive at her future berth in Rostock. The new Scandlines ferry M/V Berlin has been on a strict diet at the Danish shipyard FAYARD. 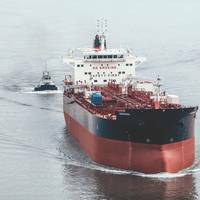 A recently completed lightweight survey shows that the weight of the vessel has been reduced by 1,100 tons. After the successful weight reduction, both draught, load capacity and stability are now back to the level indicated in the specifications for the shipyard P+S WERFTEN in Stralsund, Germany. The vessel is currently undergoing a comprehensive and time-consuming test programme. The test programme is proceeding as planned, and Scandlines expects M/V Berlin to go into operation before Easter. The completion of the new Scandlines ferry M/V Berlin, which will be inserted on the ferry route between Rostock (Germany) and Gedser (Denmark), is in its stage in the Danish yard FAYARD. However, the comprehensive test programme drags on. The delay is partly due to a damaged main switchboard, just as the Christmas holidays are also a contributing factor. The work in the engine room has been completed, and all tests have been satisfactory. The same applies to the new bridge. Also the two car decks are ready for use. Scandlines is expected to be awarded EUR 6.3 million from EU for the installation of scrubbers and hybrid system on the two new vessels for the crossing between Rostock-Gedser and for environmentally friendly infrastructure in both port facilities. Scandlines has received contributions through the EU previously for the green conversion to hybrid operation for the so-called Beeline between Puttgarden-Rødby. The European Union's Connecting Europe Facility (CEF) aims to promote more effective cross-border transport corridors. Lloyd's Register (LR) has released a new guidance document aimed at facilitating a risk-based approach to battery use. The guidance describes the key hazards to consider when installing battery technology, and gives an overview of our non-prescriptive approach to approval. The guidance also covers battery chemistry and industry standards. The guidance starts at the beginning of a battery system’s lifecycle when the cells are being manufactured, and goes on to consider how an installation affects or is affected by a vessel’s power system, placement on board, ventilation, firefighting, electrical protection and maintenance. The guidance aims to help industry consider the hazards associated with large battery installations but is not specific to a particular cell chemistry. 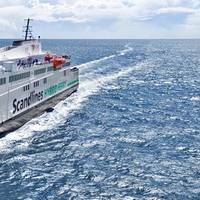 Corvus Energy announced that that it will deliver an additional 2.6 MWh battery system to German-Danish passenger ferry company Scandlines – operators of the world’s largest battery hybrid electric ferry fleet. Scandlines’ fleet of battery hybrid ferries currently include: the M/V Deutschland, M/V Schleswig-Holstein, M/V Prins Richard and M/V Prinsesse Benedikte, with the M/V Copenhagen and M/V Berlin under construction. Each vessel has between 1.5 MWh and 2.6 MWh of energy storage. 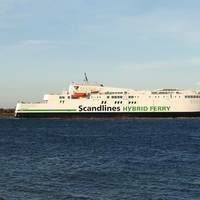 Scandlines’ battery hybrid electric ferries provide an economic link between Denmark and Germany, with daily sailings on multiple routes between these countries. Scandlines reports good financial results in 2014 as the company strengthened its competitive position through significant investments in new ferries as well as the completion of a number of important strategic objectives concerning customer service and environmental initiatives. Scandlines expects continued revenue and income growth in 2015. Scandlines recorded moderate revenue growth of 1 percent to EUR 509 million in 2014 (2013: EUR 505 million) based in particular on progress in the Germany-Denmark corridor and positive developments in catering and retail. Scandlines has deployed the M/V Mercandia VIII ferry in order to increase the capacity for the following months, while the passenger ferry M/V Prinsesse Benedikte is at the yard. As per Wednesday 15 April 2015, M/V Mercandia VIII will transport lorries every Tuesday to Friday where the cargo traffic peaks. At the same time, Scandlines’ M/V Holger Danske, which is primarily sailing with special cargo on the route, has increased the number of daily departures. The two freight ferries will thereby move lorries from the passenger ferries on the route, making more room for cars.